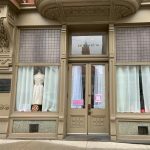 Down to Mars Vintage owner Marcie Hon plans to open her first brick and mortar at 621 Main Street on Friday, March 22. We asked her what sets her vintage store apart from others. Cincinnati native Marcie Hon has an exciting weekend ahead of her. 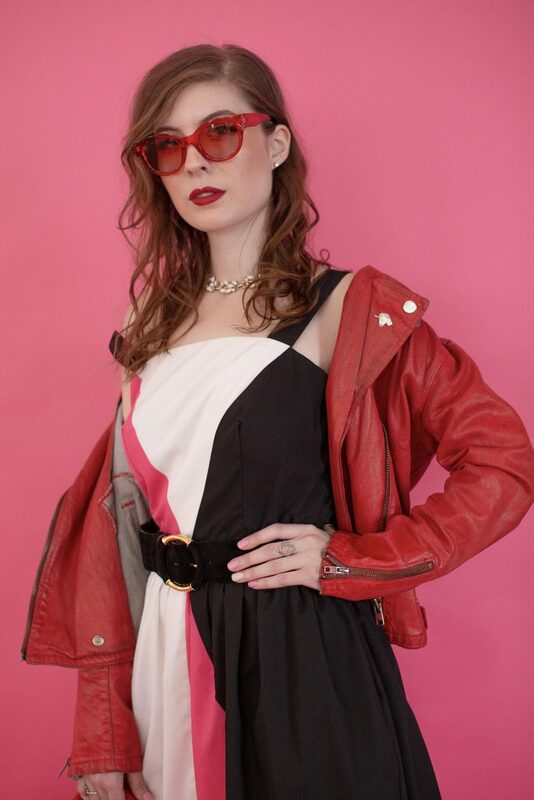 Before celebrating her 28th birthday on Sunday, she’ll open her first stand-alone storefront for Down to Mars Vintage, the high-end, modern women’s vintage clothing and accessories retailer she launched on Etsy in 2016. 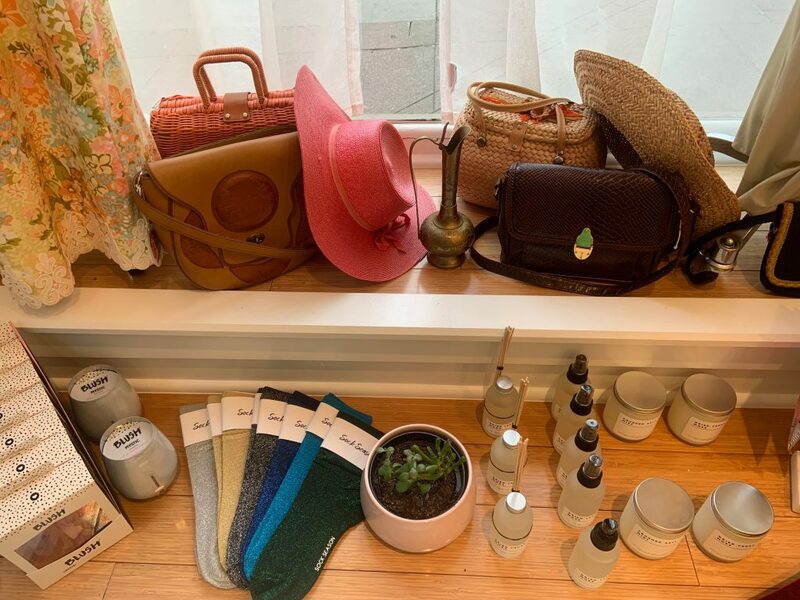 Friday, March 22 marks the shop’s grand opening, starting with a ribbon cutting ceremony at 11 a.m., and followed by an open house from 5 to 9 p.m., with music, wine from Corkopolis, small bites from Crzy Monk, and beer from Fretboard Brewing Company. 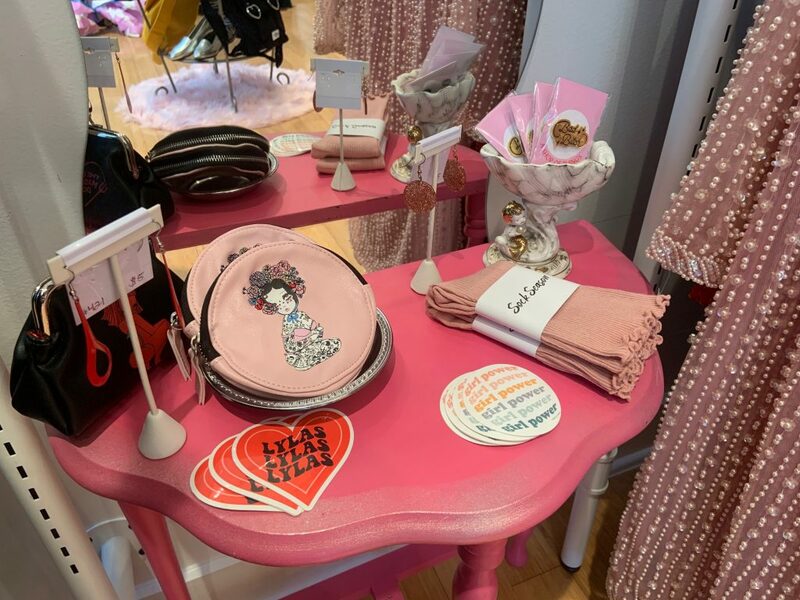 Hon, who studied fashion design and product development at the University of Cincinnati, has sold her vintage goods at local markets, such as City Flea, the Oakley Fancy Flea, Art on Vine, and at Cincy Chic fashion shows. 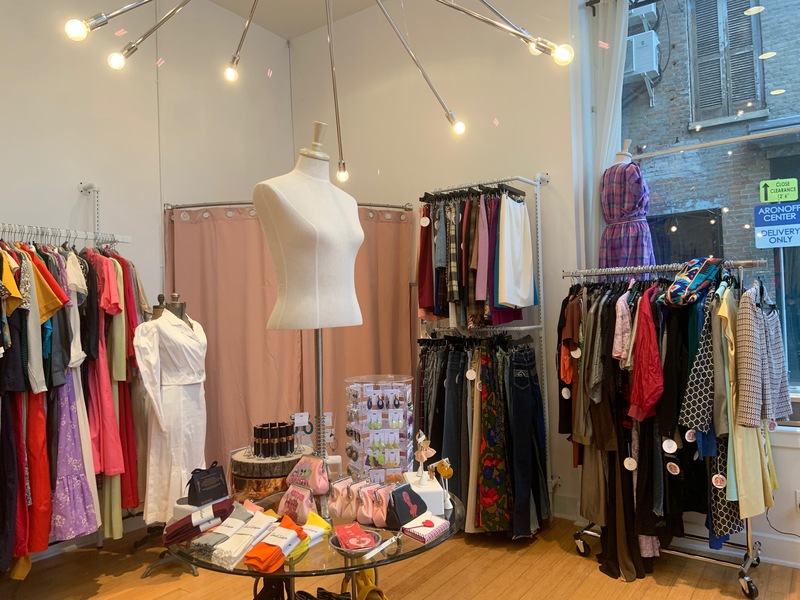 She was also one of four vendors in Downtown Cincinnati Inc.’s Winter 2018 PopShop at 639 Main Street. When she learned of an office space opening down the street, Hon jumped at the opportunity to transform it. 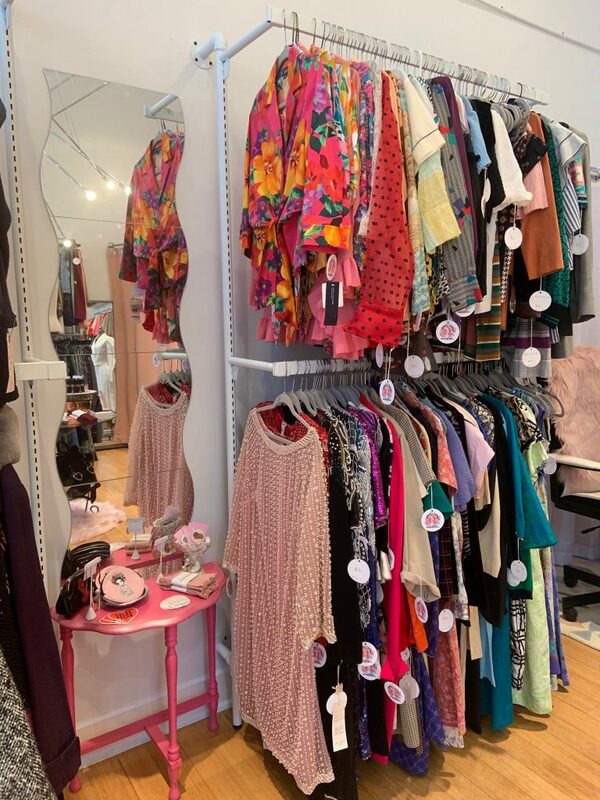 About 280 square feet, the quaint space is filled with racks of colorful vintage dresses, jeans, blouses, and accessories. 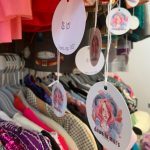 Hon, who’s working on launching a new website for her shop, tells us how Down to Mars Vintage is unique. 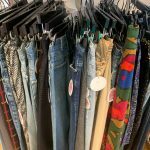 KC: What sets Down to Mars Vintage apart from other vintage stores in Cincinnati? MH: What I like to say sets me apart is presentation and curation. I’m trying to appeal to everyone, not just someone who likes to shop vintage. 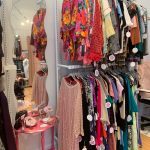 I want people who normally wouldn’t shop for vintage to [think], I can come in here and find something that I can wear with my modern wardrobe. I’m trying to shed any negative connotations that there might be about second-hand clothing, whether it’s tired, old, dirty, cheap—that’s not the case at all. 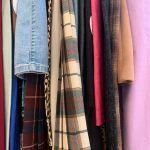 Where do you source your vintage clothes? A lot of people ask me, “Do you just go to thrift stores?” And that’s not really the case. Yeah, I do like to go to thrift stores for myself, but I know that anybody can just go to the thrift store and find whatever. So I focus on private homes, estate sales, online auctions, stuff like that. My stuff is gently loved for the most part. You wouldn’t know that they are a second-hand piece or pre-loved. 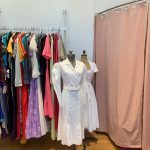 So how are you different than other vintage shops in terms of presentation? You go into vintage stores, and you’re immediately hit with a smell or it’s dark and dingy. You’re, like, walking into someone’s closet. I love eclectic vibes; I love digging. I’m not knocking that at all. I love those types of stores, but I know that everybody doesn’t. Some customers kind of need things to be laid out for them. So I’m doing all the digging for you, and then this is where you can come and easily see things. I wanted to bring a modern boutique vibe with a vintage product. Do you target certain eras of vintage? I like to target ’60s and ’70s the most. The majority of what I own would be ’60s and ’70s, and then I do have your ’90s pieces just [because] that’s what people are into. I try to focus on a true vintage feel: color, pattern, print. You started selling vintage on Etsy in September 2016. 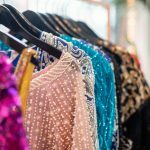 What sparked your interest in selling vintage clothes? I have a background in fashion. [During college], I worked in costume design, so I had a mentor in costume design. I used to style theater plays for her. It kind of got me thinking, because I’ve always loved vintage and I’ve always worn it. I was like, Man, I could do something like this. I was working at Totes Isotoner in 2015, a cold weather accessories [company]. I was assistant designing for them straight out of college, and then they [experienced] financial restructuring. When I was laid off for that time, I was like, You know what? I’m going to do something cool. I’m going to do something fun. I’m going to do something I enjoy. So Etsy was the main start, and working in costume design really got me inspired. The more and more I got into that culture, the more I realized there is a market for vintage. 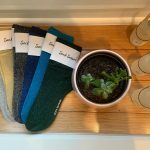 What pushed you to open a physical storefront? The storefront really was never in the forefront of my mind. I always knew that I had an entrepreneurial spirit growing up and in college. I just never knew how to start. Because fashion is so broad, I always thought when you have that designer title, that’s success. But that’s not how I felt once I was in it. I wasn’t happy. I knew creatively that there was so much more destined for me as far as being true to yourself and making money and still being happy. You also sell modern products, like jewelry, candles, perfume, socks, and handbags. That’s something that I wanted to bring alongside the vintage just to show how you can mix and match. Being at the PopShop gave me a lot of insight as to how to diversify your product, because like I said, I do want to appeal to everyone. I don’t want to appeal to people who just want vintage. And I just wanted to have giftables. What’s with the name Down to Mars Vintage? Down to Mars is basically a spin off of “down to earth.” When I think of Down to Mars, I think of, It’s out of this world, but it’s grounded at the same time. My name being Marcie, a lot of people called me Mars growing up. My zodiac sign is Aries; their [symbol] is ram and their ruler is planet Mars. That’s basically what it comes from, because on my logo, the little girl has ram horns.